Shazam! is here to save the world and re-energize the DC Extended Universe. The most awaited Warner Bros. Pictures made it’s entry yesterday. It is giving the fans a chance to meet the oft-overlooked hero. 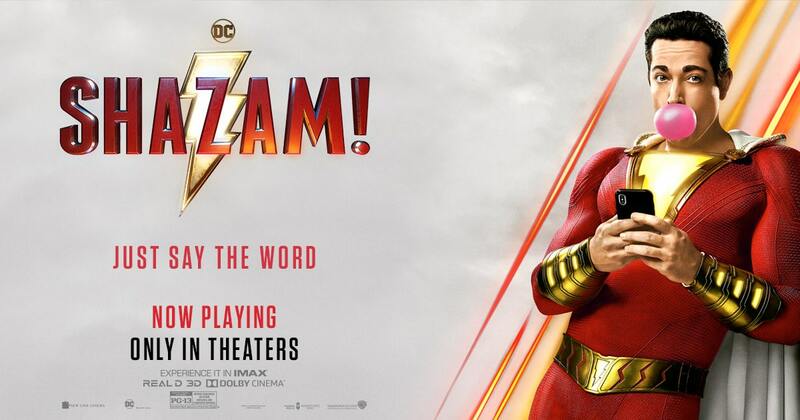 There are two post-credits scenes for Shazam! So everyone who is very curious, make sure you sit through for both of them. There is a mid-credit scene which features Sivana, and a post-credit scene which refers to another famous DCEU hero. Initially, fans are shown Sivana as the villain, who is locked down in solitary confinement. Dr. Thaddeus Sivana is more insane than ever as he tries to access the powers the Rock of Eternity once gave him. 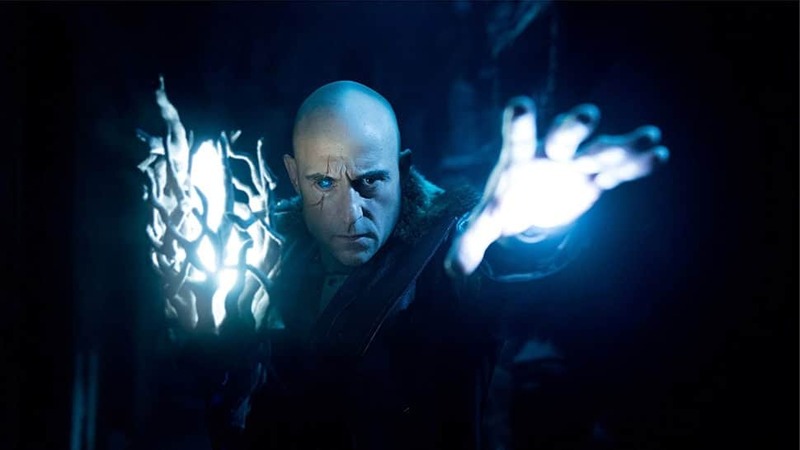 The power was taken by Shazam in the film’s climactic battle. This left Sivana furious and he scribbles the symbols he used before to unlock the door to the Council of Eternity. Though his efforts are for nothing, Sivana is not left to waste away. A voice calls out from the dark, and the scene zooms in on a small caterpillar. The same caterpillar was seen in the film’s opening scene with Sivana as a child but had escaped along with the Seven Deadly Sins. This caterpillar is none other than the Master Mind. It even has a voice box hanging around its neck. The mid-credits scene concludes with Mister Mind proposing an alliance to Sivana — “You assume there’s only one way to gain magic,” he says. “The Seven Realms are about to be ours.” — which ostensibly sets up a potential sequel to Shazam! If you didn’t know, this little caterpillar is a big deal in the original Captain Marvel comics and he was created way back in August 1943. Master Mind has been given a few origins. But Master Mind is always a major foe to the Marvel Family. He has been gifted with a few supernatural powers. He eventually becomes the leader of the Monster Society, the first-ever villain team to appear in comic books. His appearance before Sivana teases the doctor may be joining the group soon. It would open the door to lots of brand-new villains like Oom, Mister Who, and many more. 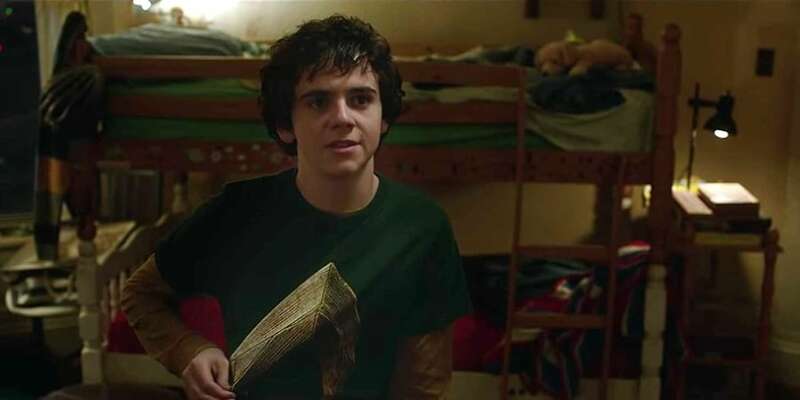 Freddy sporting an Aquaman T-shirt in Shazam! The film’s second post credit scene is more easily digestible. We see Freddy Freeman as he continues testing Billy Batson’s powers. In this scene, Billy is holding a fishbowl and trying to speak to the animal before stopping. Freddie wants to know if Billy can speak to fish (like Aquaman) but it is no good. Billy shrugs off the test by calling the power stupid. This leaves the fans to wonder how Shazam will react one day when he meets Aquaman face to face!